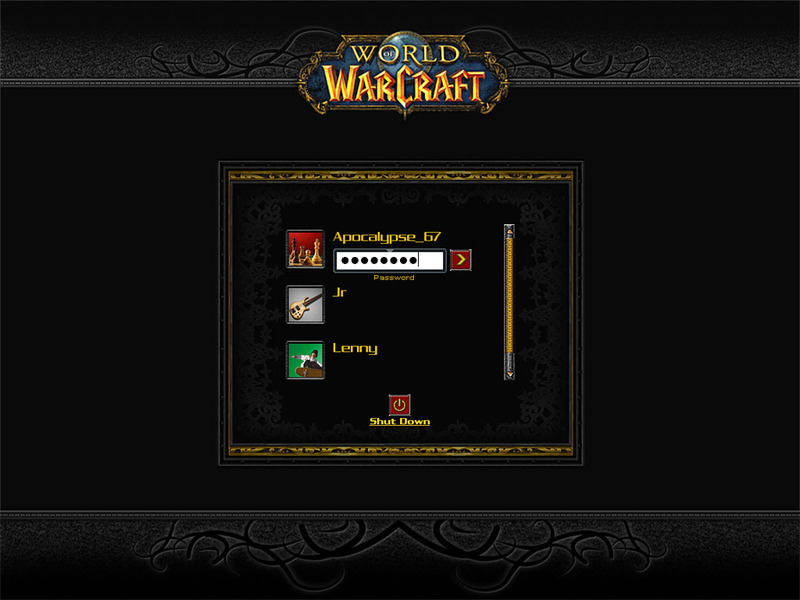 Logon to complement the World Of Warcraft Theme. Thank you all for the comments and support. It was really fun working on this theme. Wich program do I use to open this files? Must I pay to add this theme? hi, love the artwork you have done there! i downloaded it, but now the problem is: where shall i insert it in my system to make it work? keep the irons up high!